I n 2017 I was thrilled to have my first public commission! 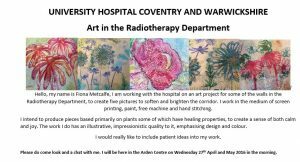 Emma Linnane, Arts Officer at University Hospital Coventry and Warwickshire approached me to create four pieces of work for the Radiology Department. I started by working up a sketchbook and a series of samples. Wanting to get feedback and comments from patients and staff, I spent two really fascinating days in the reception at the Arden Centre, setting up a small table to show my samples and talk to patients, families and staff to get their input and impressions. 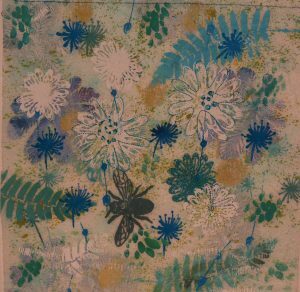 I wanted to include healing/medicinal plants into the work, and get feedback from patients about this and what colours they preferred and how slightly naive and quirky birds, butterflies and beetles might be incorporated into the pictures to make people smile. 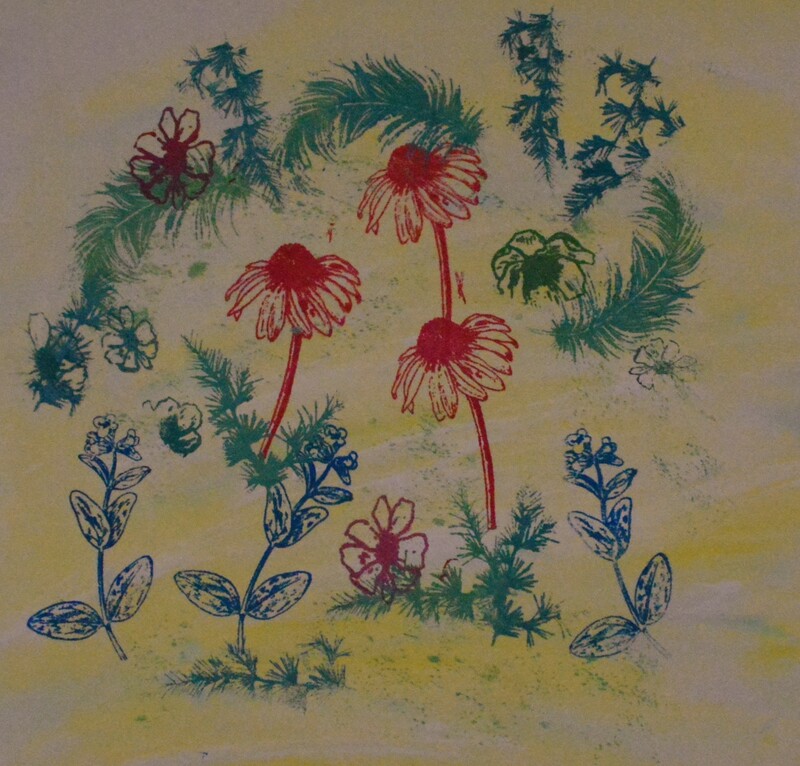 Everyone unanimously wanted bright and vibrant hues and tones and images that would bring both cheer and hope. 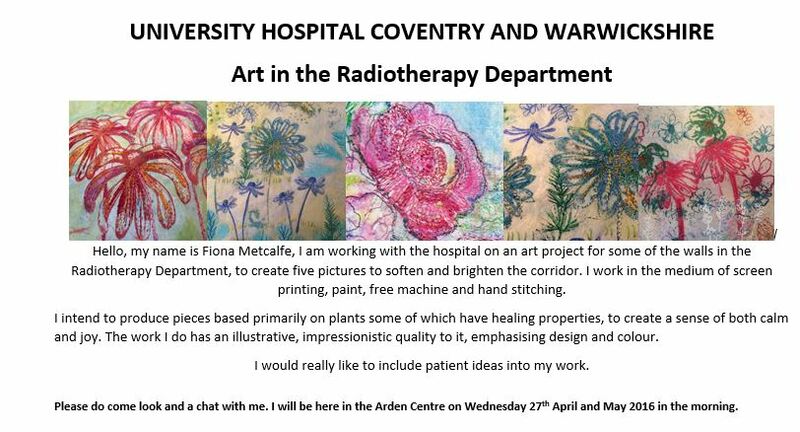 I felt very privileged to have undertaken this piece of work and went on to create four pieces that now hang in the Radiology Department waiting area.